The first week of school is filled with excitement and maybe a little fear. Eager students want to be reassured that their teacher, whom they will be spending a lot of time with, is someone that they can learn from and feel safe in their classroom. What if you can make an awesome impression that is rich in media, fun and yet at the same time will let you instill high expectations? There are two free apps that I am in love with that can help- Animoto and Haiku Deck. Both Animoto and Haiku Deck are great programs for upping your presentation game. 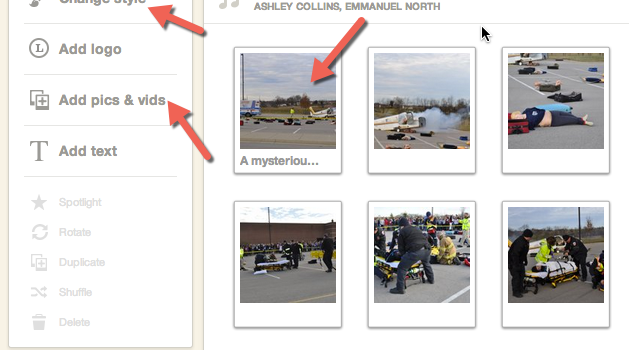 Animoto works great for the times you want an animated slideshow with pictures, videos, music and text. My video gives you a quick overview, but here are a few tips to make it easy to get you started. First tip is to create a teacher account. You will have to apply for it with your school email address, but the process is pretty quick. Once you get a teacher account you can create a longer video and add more songs than you can with the basic free account. 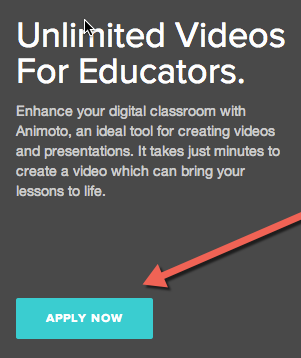 You can also get accounts for all of your students so they can make their own Animoto videos. Next choose your style of video. There are multiple options for the free account.The fun happens next when you add your videos and photos. 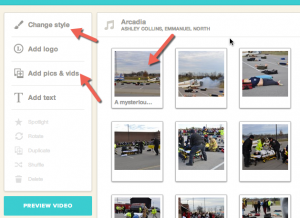 Animoto has multiple options for ways to easily grab photos from a typical upload, but you can also pull in pictures from Instagram, Facebook, and other social media platforms. Add some text by double clicking on a video or picture in your timeline, choose your song, and you are finished! Preview your video, and if you are happy with it share it with the world. There are a few options for export that come with a free teacher account. Beyond the standard channels, a free teacher account allows a low resolution download. If a HD download is desired, it can be purchased for a minimal fee. Congrats, you just made your first Animoto slideshow. Next step is to create a Haiku Deck. This can be done through an ipad app, or through their web app. For a step-by-step guide to creating a presentation on Haiku Deck, check out our youtube channel. Good luck on your first days of school! Share with us your creations in the comments.